Made with by Sal @wowthemesnet. Hi! 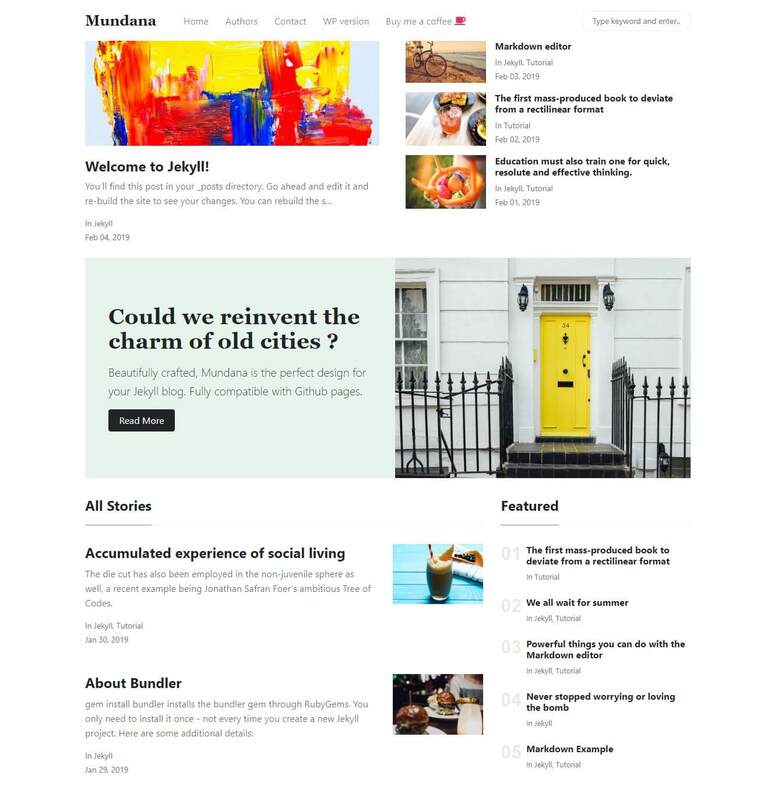 The website you are previewing is a demonstration for Mundana Jekyll theme, hosted on Github, made by Sal.